The Atlantic Institute will be partnering with the Maitland Holocaust Center and the Interfaith Council of Central Florida on a special program entitled, Is History Repeating Itself? Jewish and Muslim Immigrant Experiences in America, scheduled for Thursday February 25, 2016 at the Holocaust Center, 851 N Maitland Avenue in Maitland, FL. The Atlantic Institute is partnered with the Alliance for Shared Values which is openly affiliated with the Gülen Movements Hizmet social initiatives in the United States. The Atlantic Institute on their website, praises Mr. Fethullah Gülen as their Imam and political leader. 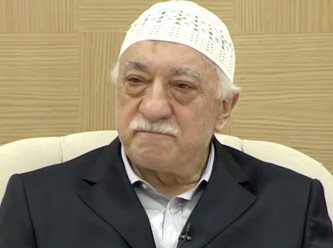 Recently, FBI agents carried out raids at 19 Gülen Charter schools in Illinois, Indiana and Ohio as part of an “ongoing white-collar crime matter.” The investigations are still ongoing however, this is a clue the Atlantic Institute and the Gülen Movement are not all about interfaith peace and love. 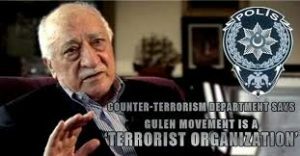 IBTimes, Michael Kaplan reports on 10/29/15, “Fethullah Gülen has been placed on Turkey’s most wanted terrorist list along with leaders of the Islamic State militant group…the Turkish government seeks Gülen’s extradition from the U.S.” This is a clue there is a serious terrorist problem with the Gülen movement’s leader, Mr. Gülen. The Middle East Quarterly reports, in 1999, Turkish television aired footage of Mr. Gülen delivering sermons which revealed his plan to implement Shari‘a Islamiyya (Islamic Law) using deceptive tactics. This fact is a warning to Jews and Christians, approach Gülen franchises like the Atlantic institute with extreme caution. In the sermon below, Gülen explains how he is an Islamic Law supremacist without fear or remorse. To date, Huseyin Peker Executive Director of The Atlantic Institute in Orlando, FL has not publicly condemned these problematic statements from their spiritual leader Mr. Fethullah Gülen, the designated terrorist. Coincidentally, Pam Kancher, Executive Director of the Maitland Holocaust Center, is also on the Advisory Board of The Gülen Movements Atlantic Institute. One can only guess she didn’t do a Google search on the Atlantic Institute and Mr. Fethullah Gülen before partnering with them. Perhaps it is this interlocking Board of Directorships that drives Ms. Kancher to blindly allow The Atlantic Institute to dictate their false narrative there is a moral equivalence between Jewish immigrants from the 1900’s to WW2 and the current Syrian refugee’s. The Atlantic Institute is promoting the February 25th event this way, “It’s difficult to imagine any political discussion today that does not include some mention of immigration. There are increasing concerns about border security, and ongoing debates about who we will allow in to our country and who we must keep out. Publicly, the Gülen Movement and their franchises sell themselves as a peaceful interfaith group. I’m sorry to tell you this, many American’s gladly buy into these wolves in sheep’s clothing Islamist interfaith partners because they sell coexistence and peace. Like Mr. Gulen however, many of these Islamist interfaith groups have very close ties to the Global Jihad Movement. Dig a little deeper into the Gülen Movement and you find FBI raids, Turkey designating Mr. Gülen a most wanted terrorist, and Mr. Gulen’s use of spycraft to violently spread strict Islamic Law after infiltrating governments power centers, as articulated in his sermon above. The Atlantic Institute scored a big propaganda victory being invited inside the hallowed halls of the Maitland Holocaust Memorial Center in a deceptive effort to raise the status of Syrian refugees off the backs of persecuted Jews from the pogroms to the Holocaust. I’m confident behind closed doors the Gülen movement and the Atlantic Institute are pleased how easily manipulated the Maitland, FL Holocaust Memorial Center’s leadership is. If Pam Kancher, Director of the Maitland Holocaust Center, is sincerely looking to dialogue with a true Muslim reform group; I suggest she contact my friend Dr. Zuhdi Jasser, founder of the American Islamic Forum for Democracy (AIFD).